Absolutely, so I was originally born in England and came across the US with my entrepreneurial dreams, I guess. And I launched a ping-pong business called Uber Pong in Austin, Texas on 2012. That did very well and I was very fortunate and managed to exit from that company, sell that earlier this year. The idea for Qwerky has been in my mind, for quite a few years. I was in London for about 10 years and still fell extremely disconnected. It just sort of not engaged with people in in the city and I just find it very difficult to connect people, went through long periods of depression. I thought to myself where can I go to live with people like me, who could relate to me and empathize. There was almost like a built-in support system and that ultimately was co-living. But back then in London, in the inner northeast, we called it between 2008-2010 coliving wasn't around and even coworking hadn't come about. So the inspiration was there. But fast forward to probably last year and I noticed that coliving was kind of coming into New York, Europe, and Asia. and I thought this is time to launch Qwerky and give birth to another brand and so here we are. L: About ping pong actually, it would be interesting if you include ping pong online with coworking dashboard. I think it would be very interesting. You know, what maybe you have just given us a great idea and we're going to do it. I think I've seen it a lot ping pong in coworking spaces. I used to work in inner space in London. it was a boardroom, the boardroom table was a ping-pong table. Well, as I mentioned the the idea came about because of a kind of personal frustration, personal pain point. I haven't got any place where I could go and be around with other entrepreneurs. A place to exchange ideas. At that time, it was either the office, the traditional office or you would go to a coffee shop. Hopefully, strike up a conversation with someone. L: Weird, you mean same with Qwerky? Well, firstly, our coliving community will be different. All of coliving spaces and houses, they're all doing the same thing. It's how coworking started. They're all doing the same thing. So we looked at very carefully and we thought you know one of my favorite quotes, "observe the masses and do the opposite". We kinda thought about it and we need to stand out. We need to do things differently. The core of this idea was the word Qwerky. And then we said, why don't we spell it differently. Qwe,rky instead of qu, ir, ky. The name alone is Qwerky like the spelling is quirky. That was the kind of stem for the brand. It's the core of our business. It's the core of everything. You know we're using #stayqwerky and because we like quirky people. It's like stay quirky, be yourself. Be yourself and be different. L: Do you want people that join Qwerky? Like weirdo or something. Well not weirdo, Qwerky it's kind of, for example, if you've got charisma, or you've got a great business idea, or you're digital nomads and you have an amazing vlog or blog. Maybe you have a certain style that you possess and maybe you're in fashion. Qwerky style, it's more about people with passion, people with ambition, and people who want to change the world. Those people are Qwerky people. We want to talk to them and obviously welcoming them to our community. As we grow and we obviously go the cities in other countries. We again will be attracting those type of people in those countries and cities. For example, with Airbnb, anybody can go to Airbnb. Because of this very little screening, there are profiles but really anyone can go stay anywhere. We want to be able to add value to Qwerky, when they come stay. The kind of threshold or bar if you like has to be set not pretty high. When you're there and you talk to people it's like you're talking to the right people. It's not just a bartenders who hates the job, or somebody who's in the corporate world and you have nothing in common and they hate their lives, their job. They're actually doing something maybe they've launched their own financial company because they love finance so much. Their entrepreneurial in what they're doing. We definitely have an application process. Our new website will be launching pretty soon. It will have a very simple form. The idea is you'll just come through, tell us a little bit about what you're working on, what you hope to get out from Qwerky. Also what value that you can bring to that community. You've probably heard of the expression, "You are the sum total of the of your five closest friends." we believe that you're the sum total of people who surround yourself with. It's our job to make sure that the people you're surrounding yourself with a good people, the quality people. L: So they're influenced you to be good too. Exactly, it means that things will happen faster. What's happening in the coliving space right now, A lot of people are saying, it's a coliving space when it's really just the condo. They just want your rent. They don't really care about you digits on your money. Then other people are throwing people in an Airbnb house and saying that's coliving community without much purpose. They're in there in the space. I've been to one of those spaces and seen it. Obviously anybody in the Coliving space you know automatically friends of ours. It's a model that we want to imitate. I think there's a lot of room for improvement. L: how about hackerspace or founder house? It's a little bit like Silicon Valley TV show. Like the house, hackers and tech people. You don't need a lot of space, you just need a laptop. From our research, we've found that people who are said technologists they don't necessarily want to just be around technologists. In fact, I mean a lot of people said, I don't want to be around techies, I want to talk to more people. Our target demographics are digital nomads, entrepreneurs, and creators. We believe that when you put those three kind of communities together magic happens. We did in our pilot house then magic happens. it's exchange of ideas and it's almost like a melting pot. They're all related in the sense that they're passionate about their kind of fields. But they can't because there's a lot of crossovers. For example, a technologist might not know how to be creative, the creative will kind of show them the way. Similarly, the creative doesn't know anything about computer science, ones, and zeros. They'll be able to learn from them. If somebody in tech want to learn and If there's a marketing or PR want to learn too. They could potentially collaborate with them on a project. L: Maybe your events or a workshop could be similar to startup weekend? We've probably tried that in the pilot house. It was a big hit. We had eight entrepreneurs in the house. 100% people were there will be moving into our first community because they loved it so much. They loved the idea. L: So they leasing for one year? Here's the thing, when you go to the regular condo, in fact, a lot of coliving in communities it's unremarkable and traditional experience. You go to the leasing agent and they'll say, here are all these forms you've got to fill in and banked financial statements give us a months of month deposit, in a months upfront, in a minimum of one year. I hate it doing it. We want to just take that packet of pain and annoyance away and say that we're looking at probably going as short as a week, as long as a year, as long as a lifetime. L: Is it included with the events with hospitality? We're trying to give you a sort of example of what we're looking at. The average rent in San Diego for a month, I believe 1700 USD that one bed. We're looking to be offering a essentially a like a pod or bedroom at Qwerky for about 1000 USD. and then we'll have co-working there which would be just a little bit extra. You're getting something that's way less than you would normally pay but you're also getting access to a community. We believe will accelerate your success by years. I spent ten years trying to build a network and work out the startup ecosystem in London. A lot of that time is wasted because I just didn't know I was going. We're going to save people that time, will literally save you years, years of your life. And accelerate you by facilitating the connections. We'll have technology as well that allows us to see when there's a match in a community. Then we will make that introduction or responsible for introductions. We will always encourage qwerkies to go, put themselves out there but we also feel obligated to be going like creating what we call it deep community. A lot of coliving spaces, in marketing what they're doing and saying we're a community, they're not a community they just want to take your money and run. what we want to do is we want to connect you to people then say why we've connected you. Then if there's not somebody within our community that we think can help you, we've got our extended network too. We can connect you to all investors like industry leaders in the city. We're launching in San Diego so we'd be able to cater some industry leaders. Then we'll be getting those leaders to come in and do Qwerky talks. Their talks don't make you fall asleep. You go to a lot of events then there's a guy and he's getting to a girl they're going to be talking about ten top marketing tips. We're gonna do Qwerky talks where we're going to demand that any speaker comes in, firstly, entertains our community. They spin it a different way, again it's the Qwerky. The Core of Qwerky, take something that's traditional and make it Qwerky. We did the pilot house and we got a marketing person to come and do a talk. Normally that would be like a PowerPoint. She came in and her talk was called, What I learned from watching Breaking Bad. I'd say what I learned for watching Breaking Bad and how I learned to start a business and pivot. It was all around the TV show Breaking Bad. He connected like starting a business and pivoting to Breaking Bad. So everybody in the room was just glued to the screen because they're like the show. Even if he didn't she explained it but the point was relating it to a contemporary show and as sort of things that people can relate to. In a much better way than just saying you know lingo. TED talks are good and inspiring but there's still one up from PowerPoint. Qwerky talks are going to be like ten up from PowerPoint. We're going to be like almost like Qwerky and a little bit more exciting than TED Talks. The unique selling point is that we're trying very hard to listen to our community. Then obviously build that but also throw in our own ideas and be innovative. We're trying to create a coliving community never been done before. And always be innovating. We've got about ten business ideas, we want to launch within Qwerky. That's tip of the iceberg will have many more but we've got lots of different ideas that will be launching. If the entrepreneurs, digital nomads and creatives who have experienced coliving, we hope when you come to Qwerky and you come to the door, from the second comes. It's an experience that you'll never forget, You will just love and you'll never want to leave. Ultimately, we're trying to design an experience, to turn a community fit that makes you surprised. Speaking about the category business in our DNA is happiness. We want you to come to Qwerky and become a happier person. Back to your question the unique selling point, when you come to Qwerky you will become a happier person and when you leave you'll be happier than when you came. That's the idea. There's a lot of very isolated people especially if you're Digital Nomad. A lot of digital nomads, remote worker isolated them on their own solopreneurs and in the entrepreneurial world. I mean I've been through it extremely isolating. It can be very lonely. There's a lot of people who are afraid to admit it. They're struggling or they've got these issues. By having a support system in place, where people can be open and there's like a safe place to share the way you think and what you're doing. I think that's going to be good not just for people staying at quirky but the society and mankind. I think we're trying to create, it's going to help society. 27.24: Did you already look up for a founding member? In my previous business, I didn't have a co-founder and looked very hard, I just couldn't find the right co-founder. L: then how you managed to get the founding member? It was actually a lot easier than that ever expected. We just talked, met. He moved from Detroit and I just moved here from San Diego. We connected on LinkedIn and we got chatting. He came over with his wife and a new baby. I was with my wife and new baby. So, we had a little bit in common there. We just got talking, became friends then immediately clicked. We started working on Qwerky and talking about being co-founders. And really going for it. He's going to be eventually making our communities with technology. It's something that's you know you might see just a little bit in coliving community. We're going to bring it in a lot more and then we're going to have online and mobile presence that you can connect very easily with Qwerky community. Almost like smart communities, people talk about smart homes. It's using technology to enhance and streamline your living experience. We'll be bringing that in and almost using Qwerky a kind of place to experiment with tech. So there'll be some exciting things coming soon. Smart communities that's that's what expression that we looking for. 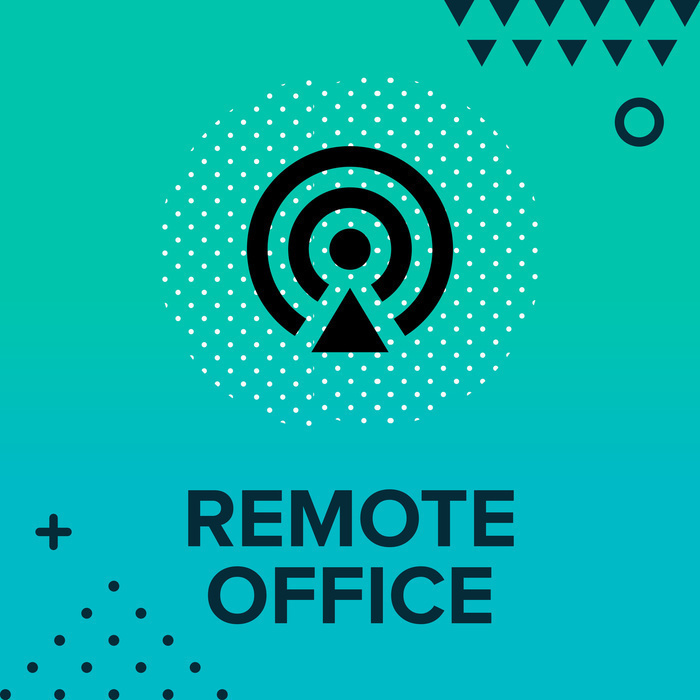 30.20: Are you bootstrapper? I mean bootstrapping Qwerky or are you asking for investment? Right now, we're bootstrapping. Where we're putting in the the most valuable capital lives which is sweat equity. At the same time we're already talking to investors who are very keen to invest. But we're thinking how far can we go without having to take investment. Because I think a lot of companies just take it lose. A lot of the company maybe lose control too early then they start to scale there's no leverage. There's going to be some amazing technology that will be implemented in our communities. We're trying to enhance the living experience and we're looking at kind of modular units. That modular unit that you can kind of sleep in. We're looking at sleep optimization down the line. When you work very hard and drink a lot of coffee. It's very difficult to sleep. Broken sleep means you don't focus also not good for your health. That leads to effective sleep and minimalism to reduce stress and wellness. You treating a good nutrition wellness and we'll be introducing programs and community events around these ideas. And lots of exciting things to come within our communities, technology that will connect people as we grow. It doesn't matter where you are in the world you are able to connect with people in the community. We're also looking a way for digital nomads to be able to come from anywhere in the world to our first community in San Diego. Eventually they'll be able to come to our community and get work, get paid to do freelance gigs. L: Actually that remote concept, if someone maybe like needs a job from San Diego and someone who needs gig from Australia that will connect them in your community. L: Do you promote Qwerky with GCUC event or maybe coworking events in San Diego or US in general? At the moment, we're a very small team there's myself, my founder we've got a communications director that's working with us. She's from Venezuela and bilinguals which are awesome. We're a very small team and we obviously need help. If there's anybody listening, if Qwerky sounds fun and it could help you in your kind of say career or life or travels. Please go to Qwerky.co Which is q-wer-ky and add your email. We'll reach out and let you know when we're opening applications. And if you are a traveler, digital nomad, you vlog, you blog and you want to come and cover us. Or you're a journalist and you want to interview us then reach out to me on email hi@qwerkycoliving.com or @davidjlowe on Twitter. If people have ideas or they want us to be in other countries and they know how to connect with me now. 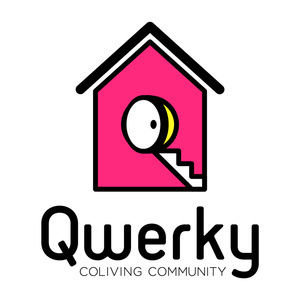 If they want to follow us on social media we're at QwerkyColiving across into Instagram, Facebook, Twitter, and YouTube as well, search for Qwerky Coliving. we've just started a channel, we love to create video content and we love to have your feedback.